Thoresby Colliery Company in Nottinghamshire was appealing for financial help in April 2014 and now needed £10m to continue developing. Everything was up in the air again with so much uncertainty of jobs now for the workforce once again. Rumours were flying about whether the pit could close. 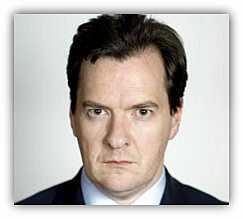 George Osborne (Con) the Chancellor of the Exchequer had only stated on an underground visit there in November that some help would be given to the dying industry. The other deep mine in the Company was Kellingley in Yorkshire and they were struggling too, and they were asking for £15m to dig them out of a hole. The major problem was the market for the coal and the price per tonne received. The energy market for generation of electricity had now fallen to 4%. Foreign coal was still being imported, supposedly cheaper than British mined coal. However the coal market had fallen due to the success of the ‘fracking for gas’ in the USA, the price of coal always quoted in $s. The Company now had a workforce of about 2,000 and owned the two deep mines and 6 opencast sites throughout Britain and in this region the opencast site was in Leicestershire. The Prime Minister David Cameron declared on 9/4/2014 at Prime Minister’s Questions that all help would be given to the beleaguered industry and 10m for each would be available from the Government to allow an organised shutdown of both collieries in the next 18 months. Meetings were held with TUC, NACODS, NUM, UDM and UK Coal and Government Ministers regarding same, to come to some agreement. However it was muted that some redundancies would be carried out within weeks. Michael Fallon (Con) Energy Minister announced on 10/4/2014 that £10m would be available to UK Coal for Thoresby Colliery (mainly UDM members) to allow a gradual run down for closure of the Colliery and the loss of 600 jobs. Kellingley Colliery (mainly NUM members) was to be treated similarly with £10m but with the loss of 700 jobs. The miners at Kellingley were asked by the NUM to have a possible members buy out of the Colliery, with every miner putting some money into a new Private Company. However no information was available regarding that at 5th June 2014. On Friday 30th May 2014 redundancy notices were given to over 200 men at Thoresby. ‘Gardening leave’ was granted allowing the men to receive pay for 12 weeks. The last retreat face DS 5s began working from Monday 9th June 2014, as the previous retreat face DS 4s reached its planned distance. 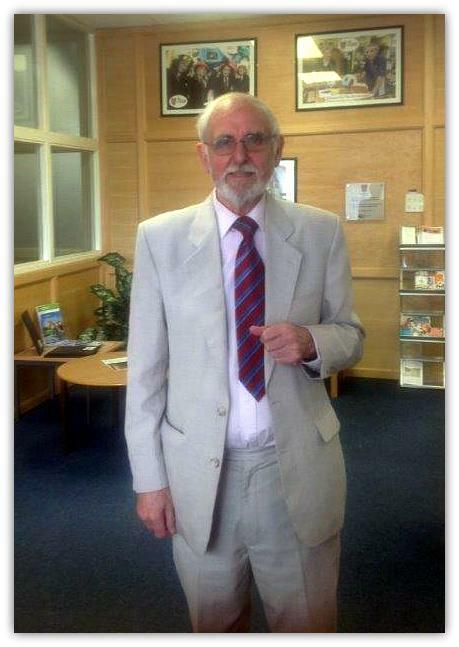 Development for future working stopped and all development men (including Keith Taylor (54) (a neighbour) were made redundant along with a number of electricians, fitters and Deputies and other outbye workers on 6th June 2014. A team of Gate repair men was kept on in case of any problems in future whilst working the retreat face. It would leave Hatfield Colliery (Yorkshire) (400 jobs mainly NUM members) owned by Hargreaves as the only deep mine left in Britain. In June 2014 the vend of coal to dirt was still around 47% and recent outputs of 40,000 tonnes and 50,000 tonnes of run of mine produced 21,100 tonnes and 38,250 tonnes respectively of saleable coal, destined for nearby Drax Power Station. There are also 2 small drift mines in South Wales, Unity and Pergwm. A CROOKED businessman has been jailed for a scam which milked hundreds of thousands of pounds from a coal mine he had previously been involved in taking over. Banned director Geoff Auston also duped his own daughter, Sophie, as part of the fraud which totalled more than half-a-million pounds. Miss Auston had denied being a party to the carrying on of a business - Auston and Co - trading under her name, with intent to defraud between August 1, 2009 and December 1, 2011. 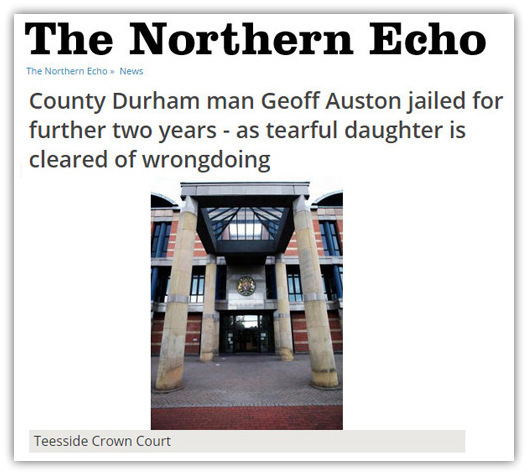 The 24-year-old, of Alnwick Drive, Spennymoor, County Durham, was in tears after a majority not guilty verdict was returned on her by a jury at Teesside Crown Court which had heard how her father presented her with documents to sign which she had no understanding of. Before her trial her 59-year-old father - who is already serving a five year jail sentence after buying a haulage company Lima Transport Limited and running it dishonestly - had pleaded guilty to being concerned in the management and formation of a company while disqualified between May 1, 2009 and December 11, 2011, fraudulent trading and two counts of making a false representation. He was jailed for a further two years by Judge Howard Crowson, a sentence previously unreported until now. Auston, of Bishop Middleham, near Ferryhill, County Durham, who at one time drove an Aston Martin DB9 Coupe and was said to live an expensive lifestyle, made his daughter a director of a company that previously owned Eckington Colliery, in Derbyshire. He also oversaw the setting up of Auston and Co, which the prosecution said was a vehicle to milk other people's funds away from the drift mine. He was a signatory on the bank account. The fraud totalled more than half-a-million pounds and included the siphoning off £146,000 in profits from the colliery's coal revenues, the disappearance of £100,000 from a bank account consisting of miners' accrued tax monies, and unpaid VAT. The mine is under new ownership. Auston - a two time bankrupt - was disqualified in September 2011 at Teesside Crown Court from acting as a director or managing a company for 15 years following his involvement with Lima Transport. It was compulsorily wound-up in July 2006, leaving creditors with claims totalling more than 2m. He has now been further disqualified, again for 15 years. In 2003 he was also jailed at Cardiff Crown Court, for 15 months, for money laundering after masterminding an £84,000 fuel tax fraud. Robert Bussey, an investigator with the Department for Business Innovation and Skills, which brought the prosecution against the Austons, said: "Geoff Auston is a dishonest businessman who over many years has shown a blatant disregard for business regulation." He added: "He is a very persuasive individual and has convinced astute businessmen to invest in his fraudulent projects." I had set up a stall with Mining Equipment and Surveying Instruments. The four children (all cousins) ran off in all directions with the helmets and lamps etc causing me to panic but eventually they all returned and brought the equipment back. I am a trustee and active member of Bilsthorpe Heritage Museum (behind the Village Hall) that opened to the public in July 2014. For many years I was a member of Ashfield Heritage Society contributing to the Ashfield Historian magazine. I am also a founder member of Blidworth Historical and Heritage Society since 2008. Without funding and volunteers unfortunately most of these will disappear along with the artifacts and information, if younger people are not willing to join these groups and carry on the tradition for future generations. Harworth colliery (North Nottinghamshire) was closed down in October 2006 due to difficult geological conditions, but the miners were celebrating a grant of £15m Government aid at that time. It was agreed that European countries are heavily subsidised meaning that they can produce coal more cheaply. Compensation claims for pneumoconiosis and other chest diseases have been lodged against the industry. Some claimants have received between 2,000 and 30,000, however the ones receiving the large amounts are virtually bed ridden or would have to be taken out in a wheel chair, or forced to stop frequently to gather their breath. Many are forced to use nebulisers or oxygen bottles to breathe. Claims for vibration white finger have been lodged against the Board. This is caused by constantly using a boring machine etc with one’s finger on the trigger for long periods giving rise to numbness in the finger for ever afterwards. Likewise for industrial deafness, etc. 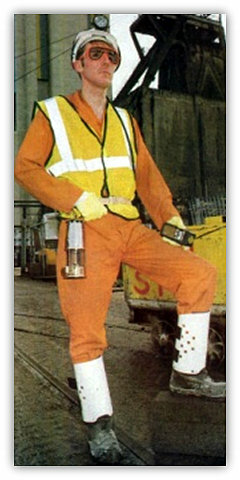 No ear defenders were issued before 1986. Noise levels for various machines were for example: face panzer running full 85 dBA (decibels) and running empty 100 dBA, Dosco road header 97 dBA, Shearer cutters 97 to 105 dBA, Ranging drum double ended machine up to 110dBA, Booster fans 120 to 125 dBA. The ear can detect frequencies from around 40Hz to 18kHz (kilo hertz) but is more sensitive to frequencies around 1kHz. It has been found that 130dB is the threshold of pain. The Health and Safety Executive Code of Practice gives guidelines for reducing the employees’ exposure to noise. 90dB (A) Leq to be the limit for a man to be exposed to for an 8 hour shift, the ‘A’ weighting because all ears do not react to the frequencies alike. Surveyors are generally exposed to the very loud noise created by ventilation fans that are situated at the entrance to development headings. Every development has to be set out, that is a direction line established by way of a white line chalked or painted on the supports accurately aligned by line strings hung from the roof or supports by clips etc. This task generally takes quite a time as the instrument, be it a dial or theodolite has to be accurately centred by adjusting the various type of tripod used before observing and turning out the bearing. To arrive at the junction in the first place is by traversing from a nearby base line previously established. Reaching the roof at the initial setting out can be quite an onerous task and at times during my tenure at the pit up to late 1986 the Health and Safety brigade of today would have had a field day, but how else would we have done the job? It was always necessary to complete the job as no roadway in a pit can be driven without a direction line and sometimes also a grade line. One is within the threshold area that could also have included a heading machine and conveyor motor running as well. Until the introduction of ear defenders one was exposed to the horrendous continuous whining noise from the fan. This job had to be done several times before the development roadway had extended away from the junction and the ‘noise’. Many Surveyors and surveyor’s assistants and linesmen have suffered from industrial deafness, including myself, requiring hearing aids to be used for the rest of one’s life. Another personal problem I have and suffered from since 1972 is a neck problem. At times the pain is excruciating and manipulation is required frequently. What caused it? It was self inflicted. I hit my head on a low girder at speed which knocked my head back. Granted the roof height was low particularly for someone 6 feet (1.83m) tall but what was I doing? I was running and it was illegal to do so. It was my own fault and I have only myself to blame. Probably and more than likely others doing the same have claimed against the Board by stating that the roadway was of insufficient height but would not have admitted that they were running. I could not do that. The job of a surveyor requires one to have to tell the truth at all times otherwise the job would fail but of course there are exceptions, and I have come across odd ones in my career. Anyone working in the pits and escaping from any of the above can be classed as ‘fortunate’. 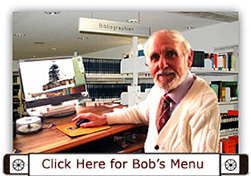 So much, for giving a lifetime’s work in the mining industry in conditions stated above. It is interesting to note that in the 3 counties during the 4 Labour party periods of Government 1945-1951, 1964-1970, 1974-1979, and 1997-2010, 30 pits were closed in North Derbyshire, 18 in Nottinghamshire and 12 in South Derbyshire / Leicestershire, making a total of 60 closed. (Welbeck (Nottinghamshire) was planned before the change in Government and closed early May 2010). Harworth (Nottinghamshire) was closed and put in ‘mothballs’ from October 2006 awaiting a buyer or an injection of money up to £200m (in 2010) for UK Coal or a private enterprise to redevelop the pit. The chosen few men on maintenance must have had a ‘bobby’s job’ for there are no underground production pressures. Gas being pumped out of the mine workings and up the shaft was used to convert into electrical power, most being fed into the National Grid. The roadways around the pit bottom and the shafts were still being examined daily. The cost of keeping the surface fan running and other operations was costing plus £1m per year. However the small Upcast shaft concrete winding tower was demolished in late summer and both shafts were capped in November 2014 and the colliery was abandoned. The large Downcast winding tower to be demolished later. During the 8 Conservative party periods of Government 1951-1964, 1970-1974, 1979-1997 and 2010- present, 12 pits were closed in North Derbyshire, 30 in Nottinghamshire and 19 in South Derbyshire / Leicestershire, making a total of 62 closed. During the period 1951-1997, 6 new mines were opened. Maltby in South Yorkshire (Hargreaves) closed Jan 2013 due to eruptions of hydro carbons. 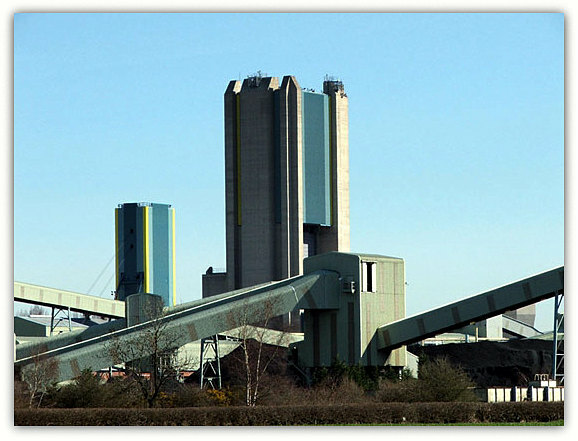 Daw Mill in Warwickshire (UK Coal) closed Feb 2013 due to underground fire out of control. Eckington Drift mine (Moorside Mining) work suspended due to monetary problems 2013, but re-opened under new management in 2014. Hatfield (Hatfield Colliery Co) was closed suddenly on 30th June 2015 due to lack of orders for the coal. 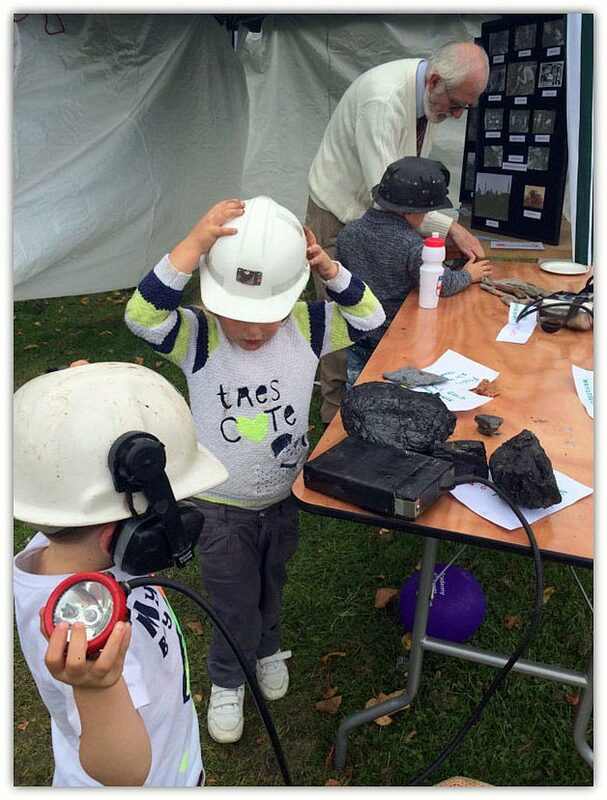 Thoresby (UK Coal) closed 10th July 2015, reached planned limit, again needing money to develop further workings. However, overall from a total of 1,250 pits in 1947 to the present day, 522 mines were closed throughout the U.K. by Labour and 732 by the Conservatives, including several hundred small licensed mines. No matter how painful it is, the results show that Clement Attlee closed 101 pits, Churchill 78, Eden 35, Home 24, Heath 26, Major 55, but Harold Wilson closed 253 pits as against Margaret Thatcher’s 115, more than twice as many. However because there were fewer pits left it is without doubt that Yorkshire was decimated by Thatcher in the ratio of about 1 Labour closure to 10 Conservative. The one who closed the most pits in one term from 1957 to 1963 was Harold Macmillan with 246, and ‘nobody noticed’, not even me until I researched the figures.